The Brighton Centre is a large conference and entertainment venue located on the seafront. Used for political party conferences as well as comedians and music concerts the venue is within an easy walk of Nineteen meaning our guest house is perfectly placed for those seeing a concert or attending a conference. Brighton Pier is an iconic landmark and a must see attraction. The amusement park at the end of the pier offers an array of rides, including old favourites like the Waltzer and Helter Skelter, along with modern rides like the Wild Mouse and Log Flume. The fresh doughnuts are highly recommended too! The i360 is Brighton's newest landmark. At 162 metres high, the observation tower can be seen from miles around and visitors who take the 15 minute ride up the tower, will be able to see Brighton, Hove and the surrounding areas including the South Downs. Champagne flights are available for those who are celebrating a special occasion! The i360 is about a 10 minute walk from Nineteen. The Brighton Pavilion is a real marvel! 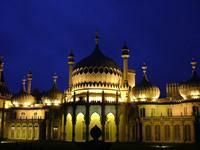 The Pavilion is as an exotic palace right in the heart of Brighton. It's as bizarre as it is historic and it's hard not to leave with a smile, and maybe a lasting thought of 'Why?' A visit to the Pavilion can take approximately an hour and it's the perfect place to head when it's a rainy day! 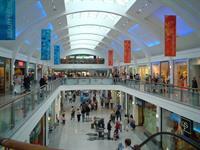 The Pavilion is about a 5 minute walk from Nineteen.